qsek added a comment to T128610: Bullet Trajectory. 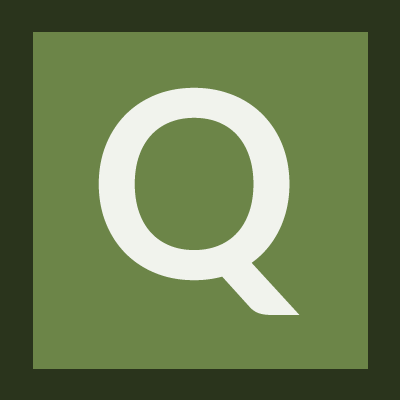 qsek created T125726: Crash on Exp 0.62.140062.
qsek added a comment to T113178: Loot disappearing when dropped on solid ground. oh this could be if the item that is dropped is ruined. I remember that ruined pants i wanted to swap with some good ones disappeared as well as the content. qsek added a comment to T112752: Toplohiki slow down and request for -noPause to be made available.. This is an issue with 32 bit versions of windows. It can only use 3 GB of your 4GB RAM (check rightclick computer -> properties -> RAM: 4GB (3GB usable)). In certain areas and over time DayZ needs huge amounts of RAM which can be a problem, especially when other programs are running in the background. Try freeing physical RAM or upgrade to 64bit Windows. qsek added a comment to T107221: In game voice chat - last word or two cut out, only to be heard next time that user begins talking again. I know this bug. Its been there all the way from arma2. And its so annoying, you constantly have to ask people to repeat. And i think its not apparent for everyone because some people use double tap caps lock or are used to hold the button longer after they speak. If you have used the very responsive Teamspeak or Skype Push to Talk, its guaranteed that you release too early for the DayZ delay bug and cut off your own voice. qsek edited Steps To Reproduce on T106532: Can not join any server at stable 1st person server, character won't load from hive..
qsek added a comment to T105842: Can not join any server at stable 1st person server, character won't load from hive..
qsek edited Steps To Reproduce on T105842: Can not join any server at stable 1st person server, character won't load from hive..
qsek added a comment to T94681: Painted MP Buttstock makes game unplayable since 34.115106. I have the same FPS issue but with an unpainted MP Buttstock. qsek added a comment to T90110: Reproduction of Character as unnamed basic AI entity..
Is there any update of this bug, any unclear information or anything other you may need to address this issue? I get the impression that more and more players discover how to do this glitch. The game is being flooded with military weapons and players do not have to fear the loss of their gear. Duping is a main cause of gameplay disruption, supports KOS and deviation to FPS behavior. And easy fix would be to introduce a minimum reconnect timer of 10 seconds. I can also see the private messages, for example the detailed description of -Torpedo- in my email subscription of this topic. There is only the Add Note button when writing a note. You can make it private after you wrote it and it wont show up on this topic, but the email notifications dont work like intended.